THE SKINNY: So there is absolutely nothing special about this hand cream. It moisturizes ok. It has no fragrance so to speak and it's overall bland. 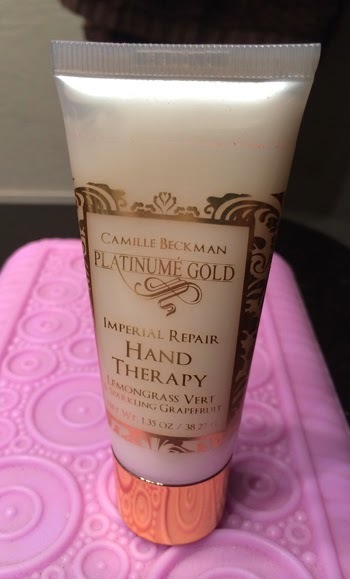 Plus, at $20 for 6 ounces, Camille Beckman Platinume Gold Hand Therapy is pretty pricey. I can't justify that for a product that leaves nothing behind in my memory. KEEP OR TOSS: Keep ... if you don't really have anything else. CHECK IT OUT: This brand carries hand creams in quite a few varieties.